Ronald Lee Haskell, who is accused of shooting dead a family of six, including four children, near Houston, Texas, has been charged with multiple counts of murder. Ronald Lee Haskell, 33, gave himself up to police late Wednesday following a chase and a three-hour stand-off. A 15-year-old girl is also in a critical condition after being shot in the head, but was able to direct police to him. Police earlier identified Ronald Lee Haskell as the father of the children, but have corrected that report. Harris County Constable Ron Hickman said the adults killed were the children’s parents and Roland Lee Haskell was estranged from a woman related to the couple. “I have not personally in 40 years seen a tragedy in one family that is this horrific,” he said. Police had been called to a house about 6 PM and found three children and two adults dead, a Harris County Sheriff’s Office statement said. A fourth child died in hospital. Those killed were two boys ages 4 and 14, two girls 7 and 9 and their parents. They have not yet been identified. 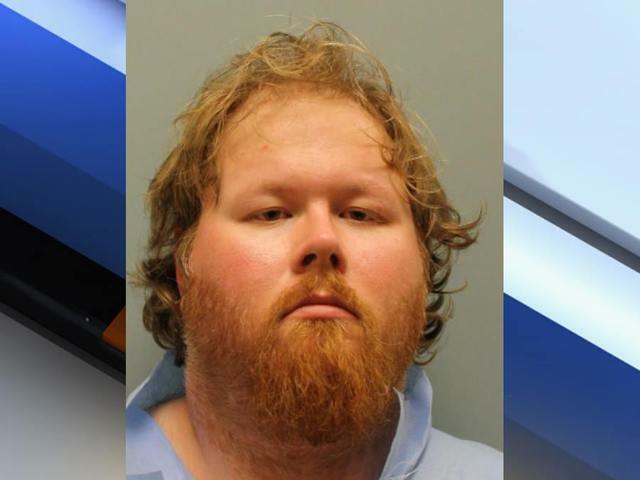 Ron Hickman said Roland Lee Haskell had allegedly persuaded the children he was a FedEx parcel delivery man to gain access to their home in Spring, Texas. He was wearing a shirt with the company’s logo. He then “gathered up the children that were here and awaited the arrival of the parents”, Ron Hickman told reporters. In a statement, the parcel firm said Roland Lee Haskell “formerly provided service” for the company, but had not done so since January. The injured 15-year-old daughter of the couple then called police, telling them the gunman was en route to shoot other members of their family. She was in a critical condition in hospital on Thursday. Police earlier described the shooting suspect as a man in his 30s with a beard who was “cool as a cucumber”. When approached by officers he was “just sitting in his car looking out at us,” said Sgt. Thomas Gilliland. There followed “hours of constant talking with a man armed with a pistol to his head and who had just killed six people”, he added. Texas police have detained a gunman after allegedly shooting dead six people, including four of his own children in Spring, near Houston. One of the suspect’s daughters is in a critical condition after being shot in the head, but she was able to direct police to him. After a 20-minute chase, the man’s car was surrounded and he gave himself up following a two-hour stand-off. Police said the incident appeared to have started over a domestic dispute. “It appears this stems from a domestic issue with a breakup in the family, from what our witness has told us,” a police press spokesman said. 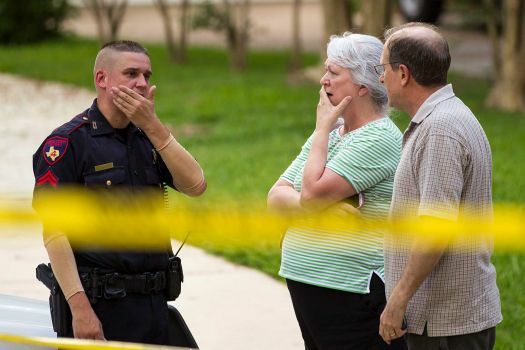 The gunman and his wife were estranged and she was not in the state of Texas at the time, police said. Police described the suspect as a man in his 30s with a beard who was “cool as a cucumber”. When approached by officers he was “just sitting in his car looking out at us,” said Sgt Thomas Gilliland. There followed “two hours of constant talking with a man armed with a pistol to his head and who had just killed six people”. Police had been called to a house about 18:00 and found three children and two adults dead, a Harris County Sheriff’s Office statement said. A fourth child died in hospital. The children ranged in age from 4 to 13. The two adults are also believed to be related to the suspect. Two of the children who died had been adopted. The suspect’s 15-year old daughter, who alerted police to the shooting, is currently in critical condition in hospital. She warned police that her father was heading for her grandparents’ home, allowing them to intercept him on the way.